This is (was) a 10 Torr capacitance manometer which I got it out a nameless skip and decided to chop it open to see what the internal construction was like. Yes, you may wonder why, considering the price of these things new, but I'm afraid I didn't figure that as a concern at the time I chopped it up. I know a lot better now! 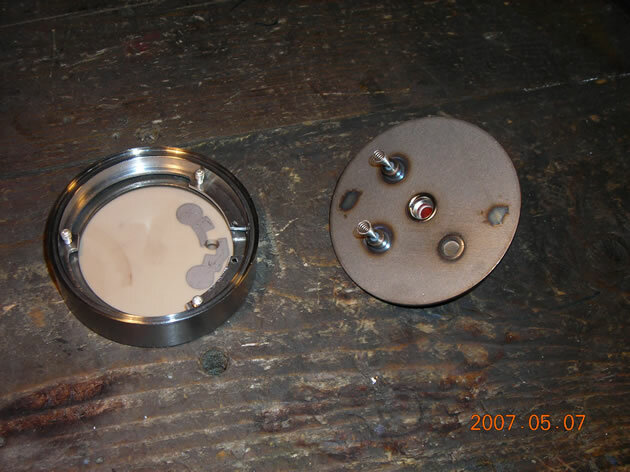 For those who don't know, a capacitance manometer uses the change in capacitance between a pressure-sensitive metal membrane and a fixed electrode to measure small variations in pressure. 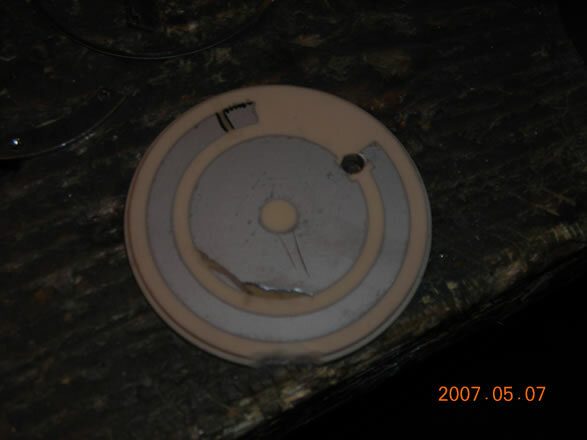 The membrane can be made quite thin, and the resulting device can then be quite sensitive. 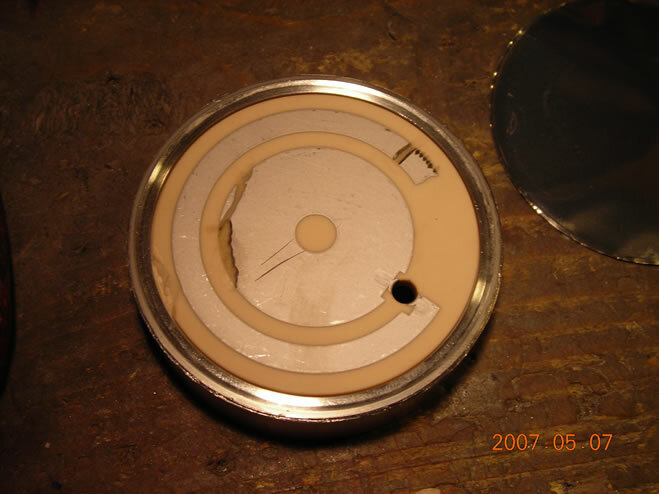 In absolute pressure gauges, usual practice is to seal one side of the membrane at a reference high vacuum and connect the other side to the unknown pressure. 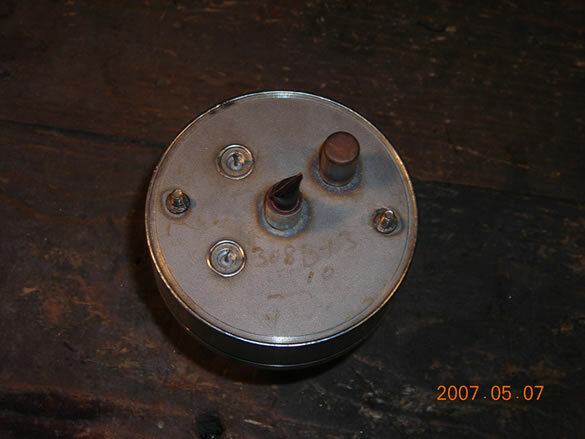 In this device, the membrane is mounted between two cylindrical stainless steel parts and is circumferentially welded to them, probably while under tension. 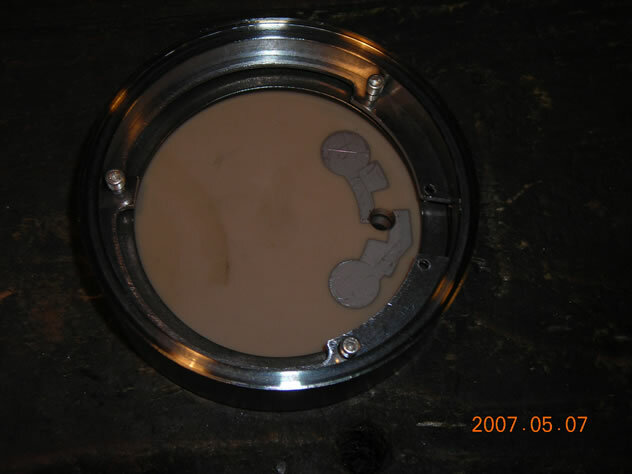 The stationary electrodes are silver ink fired on to a ceramic substrate (probably alumina). 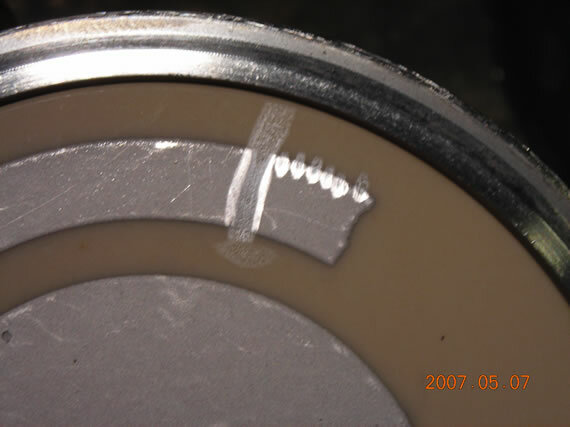 Note both the chip in the ceramic and also how the area of the electrodes has been fine-tuned by grinding away some of the silver ink. 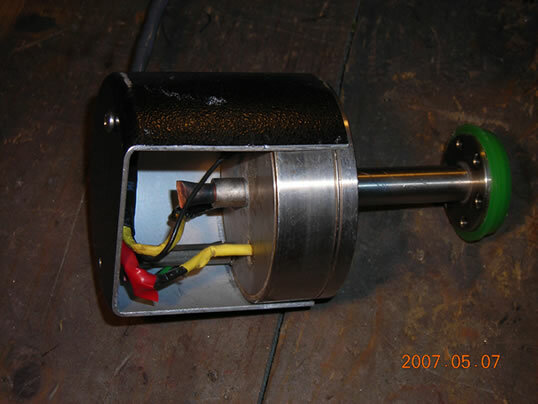 The rear cover of the unit has the two electrical feedthroughs which make contact with springs, the pinch-off vacuum seal, and a non-evaporable getter mounted inside a little steel cup (top-right of second photo). Although the construction may appear simple, I can imagine all sorts of difficulties in building one, mainly the trick of edge-welding the membrane in position while clamped between the two housings and also held under a controlled tension!